Documents Which SPI Mode is used by SigmaDSP Devices? 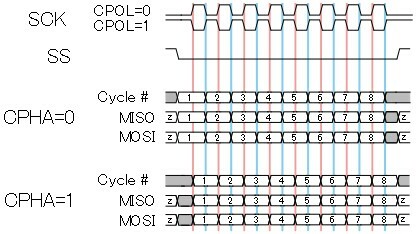 The SigmaDSP products (and most devices from Analog Devices with SPI ports) use SPI Mode 3, in which CPOL = 1 and CPHA = 1. 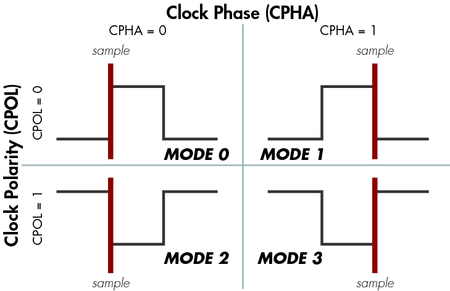 CPHA = 1: The data changes on the falling edge of the clock and is read/written on the rising edge of the clock. CPOL = 1: When the bus is idle, the clock signal is high. Yes, that's correct. The uC should use mode 3. Should SPI mode of uC set to "mode 3" for SPI communication with AD1940?